Throughout the year, the chefs at food producer Campbell Soup Company monitor and track the biggest food trends across the globe to compile Trendscape - a list of what and how you'll be eating in the coming year. The trends are ranked from early-stage discovery phase through to expanded mainstream status. 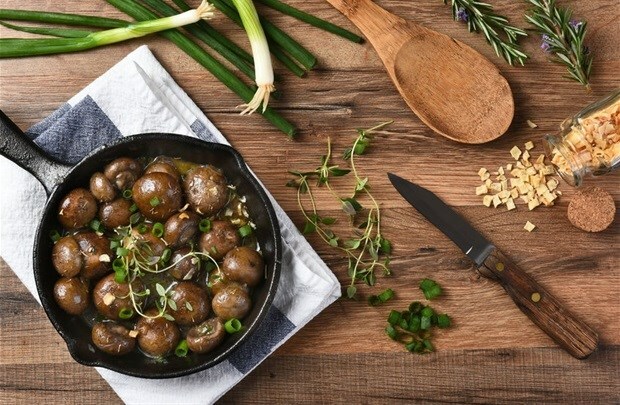 From mushroom/beef burger blends to functional coffee extracts to plant-based jerkies, familiar and unfamiliar mushrooms are popping up in unexpected places this year, inspiring a fresh culinary perspective on the humble fungi family. There’s a new conversation around mushrooms that’s boosting their appeal. In fact, we could hail them “the 2019 vegetable of the year” – although technically they are a type of fungus, considered a vegetable for nutritional and culinary purposes. The renewed fascination is due to factors including: a newfound love for humble supermarket veggies, a rising appreciation for their potential medicinal value, and their prized place at the table in trending plant-based and flexitarian diets. Overall, what our chefs are seeing is a rising opportunity to celebrate mushrooms in creative ways. Could mushrooms get the cauliflower treatment this year? Expect to see mushrooms popping up in unexpected places, like retail snacks and novel “plant-based” snacks, like vegetarian jerky and cracklings. In restaurants, a variety of mushrooms from shitake to enoki to maitake will take centre stage on the plate. Expect to see more mushroom powders too, like chaga mushroom powder, showing up at cafes and smoothie bars. Artisan couscous and ras el hanout carrot cupcakes are just a few North African tastes gaining traction on the heels of Moroccan harissa. From its Mediterranean coast to its Middle Eastern borders, the region’s brimming with flavors our chefs are eager to explore. 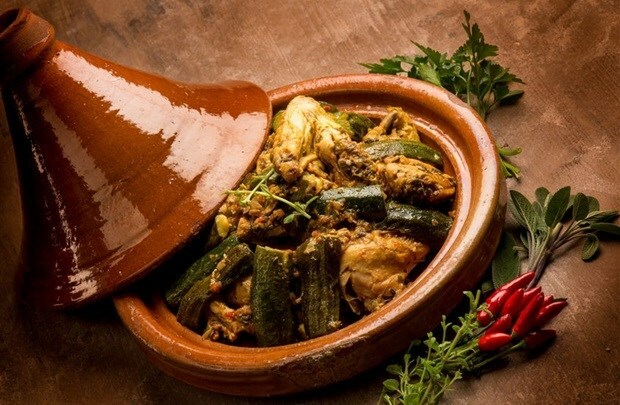 Campbell's been following the slow rise of North African cuisine on the TrendScape since 2015, and they're excited to say that 2019 is a breakout year for this trend. Harissa, the fiery chili paste from Tunisia, has certainly made its way mainstream, but the region is deliciously diverse when it comes to food and there’s still lots to explore. In general, African ingredients have been trending upward: piri piri, berbere spice, urfa chile, teff, and a host of African “superfoods” like baobab and moringa, along with tiger nuts (a resistant starch tuber). Campbell's expects more modern interpretations of North African flavours at restaurants, like cauliflower tagines, artisan couscous, spiced tomato sauces, “black” and “rose” harissa, and mint tea. They’re also expecting a revived interest in flatbreads from the region, French menus with North African influences, and a further blurring of Middle Eastern/Mediterranean/North African flavors and ingredients on US menus. Hip and casual all-day cafes are on the rise, shaping the way we’re thinking about mealtime with their signature selection of easygoing savoury bowls for breakfasts, toasts for dinner and mini- meals designed for life’s everyday dining needs and a range of culinary cravings. Bon Appetit magazine claims that a burgeoning category of restaurant, the all-day café, is “changing the way we eat,” though the opposite might be true: mealtimes are blurring and people are demanding meals that suit any hour of day, and any level of hunger. Enter the all-day café model, which addresses the growing demand for breakfast, brunch, snack time, light dinners, takeout and delivery, but most of all for fluidity. All-day cafes are redefining the restaurant menu, encompassing the many trending dishes that once seemed category-less, such as avocado toast (the reigning dish on any all-day menu), grain bowls, savoury breakfasts (like turmeric-poached eggs or kimchi grilled cheese), and sweet but substantial indulgences (like ricotta toast with jam and elevated yogurt parfaits). Menus at these restaurants offer a balance of relatively light but substantial food offerings. Expect to see 'all-day menu' replace 'lunch' or 'dinner' menu headings. Frittatas and quiches will gain more respect at restaurants, and we’ll see more comfort foods with global twists. A more complex, layered approach to texture is underway, offering sensational new tastes that go far beyond flavor. We’re seeing unique texture combos in snacks and treats, though authentic global eats – from chewy noodles to crunchy rice – are inspiring savoury texture trends too. Consider trendy foods like chia seeds, bubble teas, seltzer water, nitrogen coffees and teas, jerky, nori strips, quinoa, spiraled veggies, riced cauliflower. What do they have in common other than intriguing ingredients and flavours? Interesting and complex textures. Texture is a significant factor when it comes to taste. 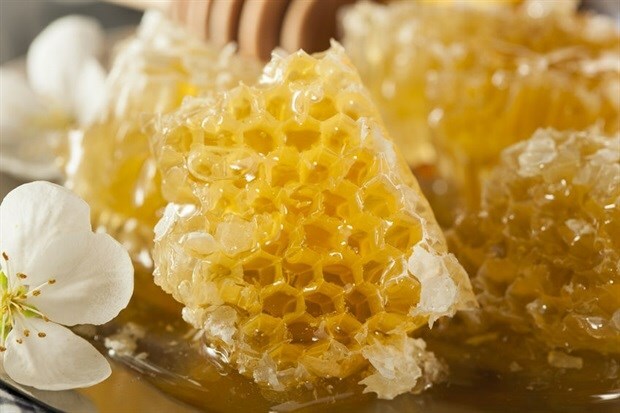 Expect to see interesting takes on familiar foods, like flaked chocolate (which is popular in Europe), honeycomb (caramel) candy, and ice cream novelties, like elastic Turkish ice cream and Thai rolled ice cream, as well as more plays with grains, like popped sorghum. We’ll see focus on the sounds of foods. Novel and customised textures via 3-D printing have the potential for real innovation and creative applications in food in the future. The 'plant-forward' mindset continues to evolve in the hands of imaginative chefs and it’s making an impact on the way we think about peas and carrots – as well as snacks, centre plate and even cocktails. Which vegetables do they have their eye on this year? Mushrooms, of course. Beets and dark leafy greens continue showing up on menus in innovative ways, and sea veggies are making waves onto the scene, especially in snacks. Lesser-known greens like celtuce are getting attention too. Expect the unexpected when it comes to this trend: carrot juice in barbecue sauce or in a mimosa, for example, or zucchini in baked goods. We’ll see more experimentation with underutilized veggies, more veggies as the star of the plate, and more plant-powered beverages, from grassy and earthy cocktails to innovative drinks, like V8+Hydrate. From turmeric tonic’s sudden popularity to gut-friendly kombucha’s slow rise to the mainstream, buzz continues to build for a myriad of healthful sips packed with fruits, veggies and functional ingredients designed to deliver bold and nutritious flavor experiences. 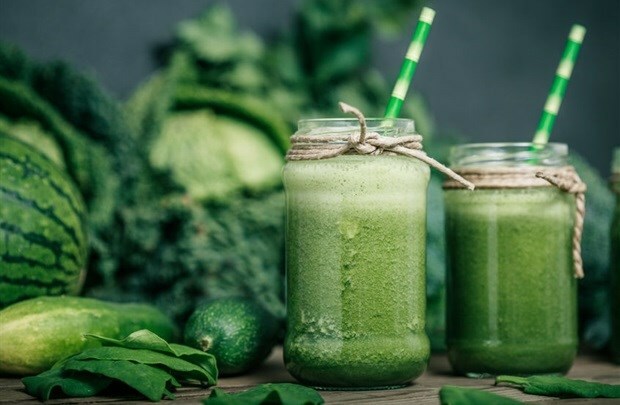 Years ago, the idea of a 'functional beverage' used to conjure images of bodybuilders’ protein shakes, but 2019 is all about sophisticated wellness sips gaining mainstream attention. Today’s functional beverages are redefining how convenient drinks can serve our individual needs. From fresh juices and smoothies to fermented kombucha and kefir to sippable broths and soups, the beverage category itself is being reimagined. If any single beverage trend rises to the top this year, it will be digestive health and gut health-focused drinks. Kombucha, the fermented beverage that has risen to the mainstream despite it being an unlikely candidate, continues to evolve now that the market is with more than 400 brands competing for consumer attention. Both prebiotics and probiotics are increasingly being added to ready-to-drink beverages.